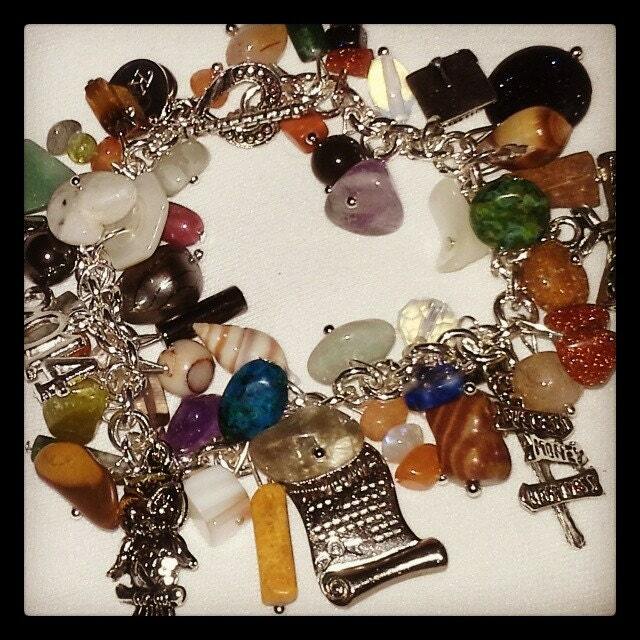 This Graduation Bracelet is made with Gemstone* & graduation charms. I can add a mascot charm if I have it in stock, just add a note to your order. * Gemstone are Natural & Man Made Gemstones.